Christmas money burning a hole in your pocket? Get more for your money at John Lewis. There are lots of sales happening at the moment but the one I've been most impressed with is John Lewis' Clearance Sale. There's up to 70% off designer brands across clothing, accessories, homeware and electricals. John Lewis has some great brands like French Connection, Hobbs and Phase Eight, that you might not be able to afford usually but in the sale there are some really affordable gems. I especially like this French Connection Stella Jacket which was originally £165 now down to just £41.50. It's easy to find yourself tempted by a low price tag and buying useless bits and pieces in the sales. The secret to smart sale shopping is to invest in good quality items that will last you a long time. Look for classic styles - the perfect little black dress, well-cut blazer or an elegant clutch bag that will never date. Don't end up in the same boat as the 50% of sale shoppers last year that regretted their impulse buys. Make a list of things you actually need before you head out. Don't buy anything on a whim just because it's half price - make sure it fits and flatters you. Stick to staple pieces with clothing then look out for seasonal on-trend accessories. Give yourself a budget and stick to it. If you do find that perfect sweater or pair of trousers then consider doubling up. Always check the returns policy on sale goods and try items on before you buy. 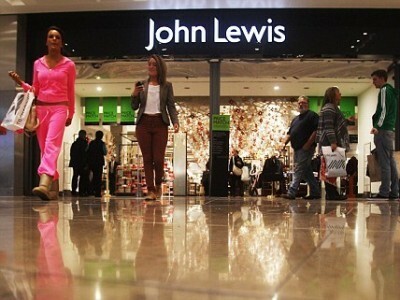 Check out the John Lewis Clearance Sale now!